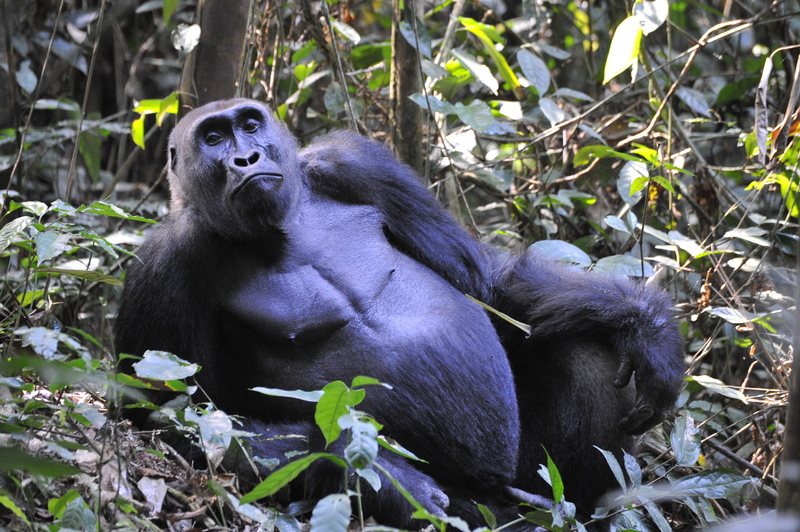 This Odzala Kokoua safari is best described as an active discovery within very remote rainforests of the Congo Basin. Suitable for seasoned African travellers for whom strict preparations and low expectations are the norm. This Odzala Kokoua trip is not a standard African safari. 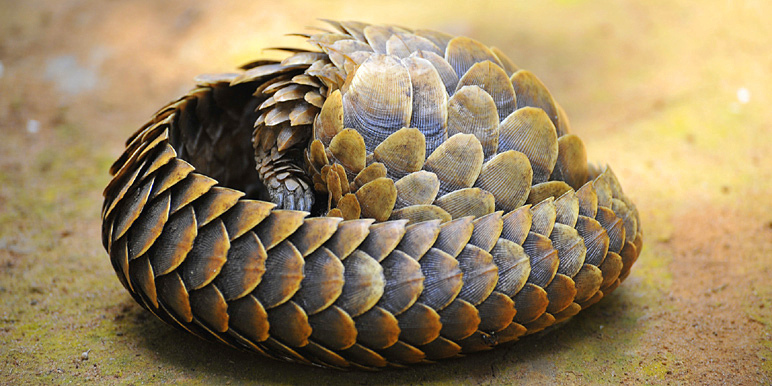 Best described as an active discovery within very remote rainforests of the Congo Basin. Suitable for seasoned African travellers for whom strict preparations and low expectations are the norm. Keen naturalists, photographers and active participants will reap rich rewards with a very rare experience here. The Odzala-Kokoua Discovery is a set date departure starting and ending in Brazzaville on Thursdays only. Deviations from this schedule will increase costs substantially. 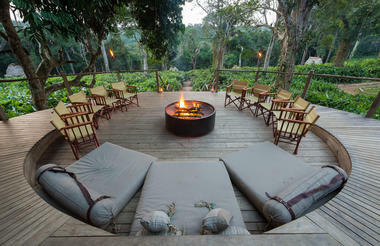 The trip entails 3 nights at Ngaga Camp where the main focus is on gorilla trekking and discovering other deep forest species. Mboko is used as a base for active explorations of savanna mosaic and riverine forest over 2 nights. 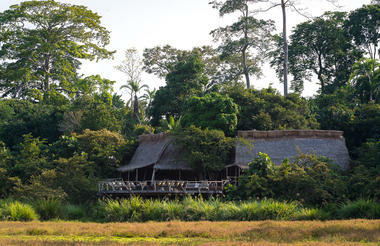 Lango Camp allows simple access to a saline bai, swamps and forests over 2 nights.  Brazzaville is a safe African city in which we recommend a minimum 2 night stay before or after. Deep in the rainforest of Republic of Congo we find one of the last refuges of the western lowland gorilla. 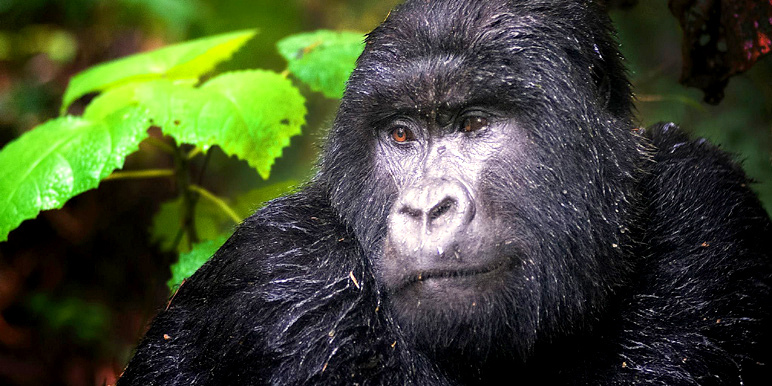 Our track record on gorilla sightings is 100%. It’s also a rare chance to explore this remote, thriving and largely unspoiled ecosystem. You’ll get to meet people from traditional forest communities. …be adventurous! 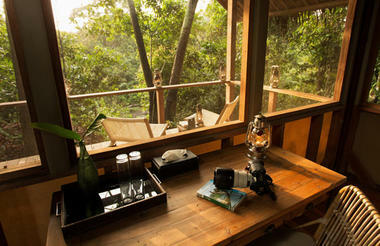 You’ll be amongst the very few to experience such a unique, remote and undeveloped rainforest wilderness. You’ll also discover a rich mosaic of habitats and incredible biodiversity. The temperature is fairly even throughout the year, sitting at around 30C on average. We provide comprehensive fact files and checklists for this trip. Documentation and medical certification has to be correct. 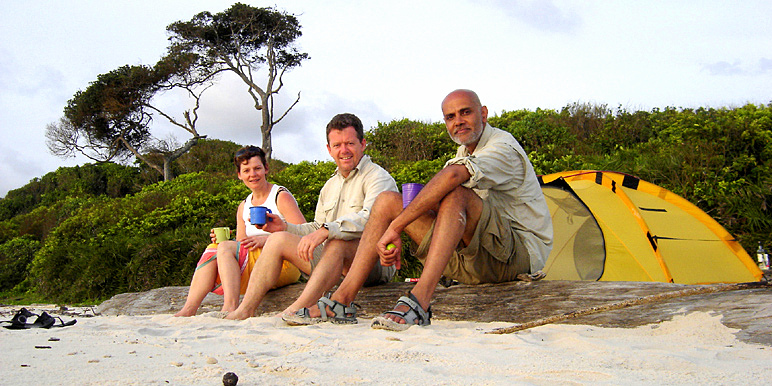 Travellers need to be well prepared for remote destinations. Please be sure to read the digital itinerary in full. You’ll require a minimum of 7 weeks between “letters of invitation” application and actual travel date. Odzala... think gorillas, chimpanzees and red-tailed monkeys. Forest buffalo, sitatunga and duiker all thriving in a rainforest eco-system - a rich mosaic of habitats just waiting to be explored. Odzala is home to more than 400 species of bird too! Maya Maya Airport (BZV) is easily accessed by numerous airlines, notably Air France via Paris, Inter Air via Johannesburg and Kenya Airways via Nairobi. 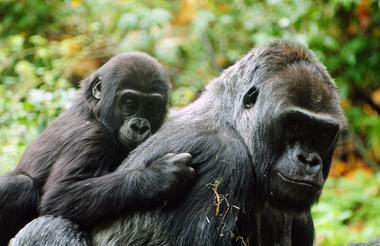 Congo is easily accessible from Europe and easily combined with Southern or East African safaris. The cost of all international flights is excluded from the price. Wildlife residents including western lowland gorilla, guereza colobus, bongo, moustached monkey, elephant, buffalo, sitatunga. Excellent for birding and chimpanzees. Odzala is a colourful paradise with over 100 different mammal species… western lowland gorillas, chimpanzees and red-tailed monkeys. Forest buffalo, sitatunga and species of duiker and herds of forest elephant. Look up and you’ll discover a few of the 400 bird species that have made this incredible spot their home. 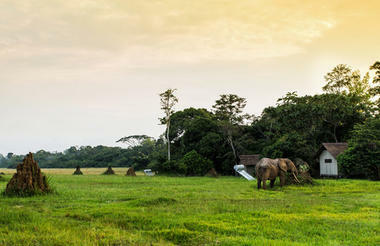 "Congo September::The 6 night trip to the Congo was a great experience. 2 camps – Ngaga and Lango. Ngaga Camp is well into the jungle, so 2 hours by plane"
"They are a very knowledgeable company and they use only the best ground handling agents in Africa. When timings or flights change, as they often do in Africa, Zambezi have always been on top"
"Odzala, Congo – January Dear Trish and John and all at Zambezi, Thank you so much for arranging the wonderful trip to Odzala! And for organising all the ground arrangements"
“Africa’s Eden” became very difficult as a proper safari destination a few years ago…best for intrepid travellers…done on a few set date trips each year.